it dawns on me that he’s arguing with the host about my seat. but within seconds, he stands beside me. When I sat down to start this book I had no idea it what I was in for. While the synopsis intrigued me I wasn't sure what to expect, especially when I realized the book was over 600 pages long!!! However, I'm happy to say I was immediately sucked in and pretty much felt on edge wondering what was going to happen next as the pages turned. Jada is this strong, independent, incredibly successful business woman who seemingly has it all...that is until days before her dream wedding she walks in on her fiance and best friend in a more than compromising position. After realizing Richard isn't her happily ever after she calls off the wedding and escapes to Tahoe for a little R&R. It's there she meets Jonathan Kole, a D.A. whose arrogance continually pours off of himself, but whom she also finds herself attracted to. Jonathan on the other had has never met a more frustrating woman, nor one who can put him in his place as easily as Jada, and before long he cannot help but want more and more of her. Things in Jada's life keep taking a turn for the worse though when Richard, her ex-fiance turns up dead with Jada as the prime suspect and Jonathan's father as her attorney. Buckle up and be prepared for one heck of a ride! This book is not your typical romance, the element of suspense adds so much more to the story constantly throwing curve balls to keep you on your toes as you try and figure out what's really going on. 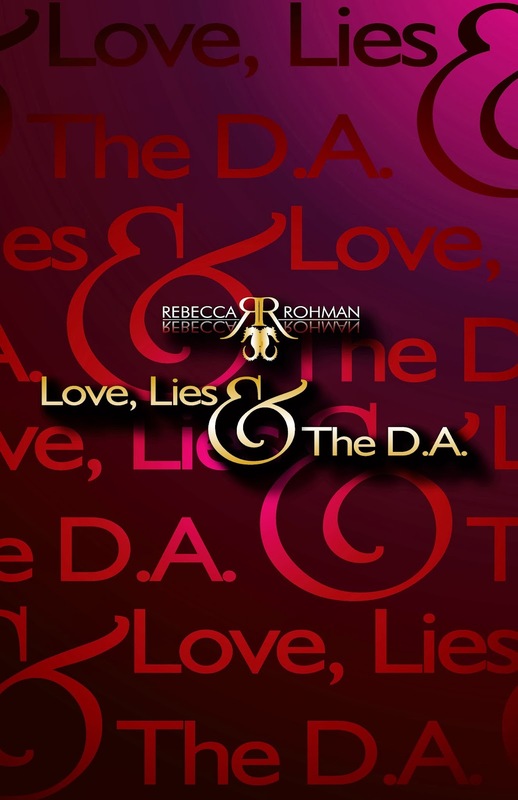 I found Love, Lies & The D.A. to be a well written, easy read. On the one had at times I felt bogged down with too many details that I simply skimmed however, on the other hand the length did allow for more development of the characters and story making a more interesting read. It certainly kept me on my toes, I couldn't help but want to get to the bottom of what really happened to Richard, of who he really was. It was definitely an enjoyable experience getting to see the romance unfold in addition to a suspenseful journey through the story.